The poor wizard! 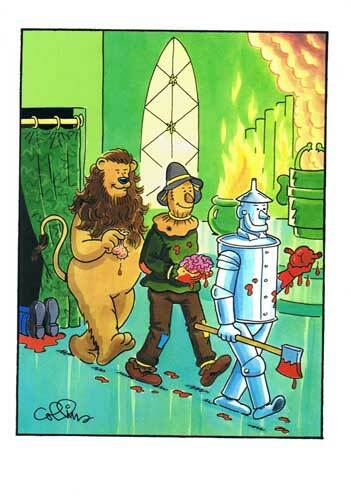 Nobody told the Scarecrow, Tinman and Lion it wasn't "self service." While this photo is interesting, someone somewhere has WAY too much time on their hands!